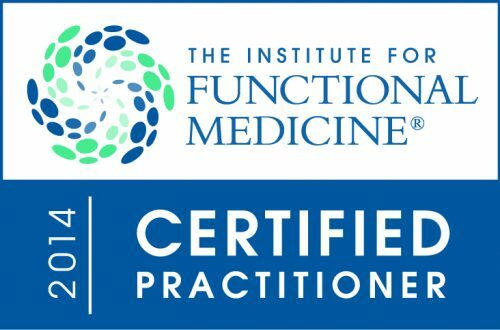 Functional medicine is a comprehensive investigation of all body systems. Each system is examined within the context of your environment and life experiences. It geared to identify root cause(s) of any dysfunction or disease. Functional medicine looks at the various organs and systems of the body as parts of a larger context, which allows FM doctors to identify underlying causes of diseases. When you treat the root cause of a disease, it’s possible to interrupt the progression of the illness and at times reversal of such. My patients and I work together to find the source of their problems. Then, we can find a complete solution. Functional medicine directly contrasts conventional medicine, which examines the body in separate entities. When specialists examine isolated systems, big picture concepts are missed. The problem with this approach is that our body is inherently very complex. There are millions of synergistic and antagonistic relationships occurring round-the-clock. Dr. Elena Klimenko is a Certified professional both in Functional Medicine (Board Certification in Internal Medicine, IFM Certified) and Conventional Medicine. She brings the Best Blend of these Two Schools to her patients! Functional medicine addresses the root cause of any illness. Functional medicine also focuses on prevention, which can save you a lot of heartaches later in life. Functional medicine is especially helpful for those with complex, chronic diseases. Chronic diseases involve many systems and functions throughout the body. A functional medicine approach is able to make connections between all symptoms, which initially can seem unrelated. Another important aspect of functional medicine is it considers the environment around you. Conventional medicine doesn’t normally take the environment into account. The people, places, and things we surrounded by on the daily basis have a significant impact on our health. A deeper understanding of the potential differences in each person’s biochemical makeup. A patient-centered approach, as opposed to a disease-centered approach. An examination of both internal and external factors. Focus on the quality of life, not the length of a person’s life. Viewing the patient and practitioner relationship as a therapeutic partnership. What Does a Functional Medicine Doctor Appointment Look Like? Because our bodies don’t exist in a vacuum, it’s important to consider all influences. Next, we complete appropriate testing and initial lifestyle changes. Then, we track your personalized treatment progress and make adjustments as we go. The patient-doctor relationship in a functional medicine setting is a partnership. Many people who choose this type of medicine, find that it significantly improves their condition. This is because functional medicine looks to improve every aspect of their health. You don’t simply leave the office with a prescription. Together we weed through the hundreds of factors to identify the root cause. You leave the office with actionable treatments and therapeutic options. Certainly, a quality functional medical process requires a qualified and experienced practitioner. Where Can I Find a Functional Medicine Doctor in New York? Finding a FM doctor you feel comfortable with is extremely important. In fact, this is one of the foundations of functional medicine. When looking for the doctor in New York City – it’s important that you connect with and trust your doctor. I have over 10 years of experience in functional and integrative medicine. If you are looking for a functional medicine doctor in New York City, you can request an appointment here or call 212-696-4325.